Susana Molins Lliteras, joint post-doctoral fellow at APC and the Historical Studies Department, has been awarded the prestigious African Humanities Program (AHP) Postdoctoral Fellowship of the American Council of Learned Societies (ACLS) for 2017-18. The AHP seeks to reinvigorate the humanities in Africa through fellowship competitions and related activities in Ghana, Nigeria, South Africa, Tanzania, and Uganda. In partnership with the Carnegie Corporation of New York, which has generously provided funding, AHP offers African scholars an integrated set of opportunities to develop individual capacities and to promote the formation of scholarly networks. The African Humanities Program supports the Carnegie Corporation’s efforts to develop and retain African academics at universities in Africa. Fellowship stipends allow recipients an academic year free from teaching and other duties for the completion of their PhD dissertation, for revising the dissertation for publication, or for the first major research project after the PhD. Fellows are also eligible for additional benefits such as residential stays for writing, manuscript development workshops, and publication support (for more information see https://www.acls.org/programs/ahp/). 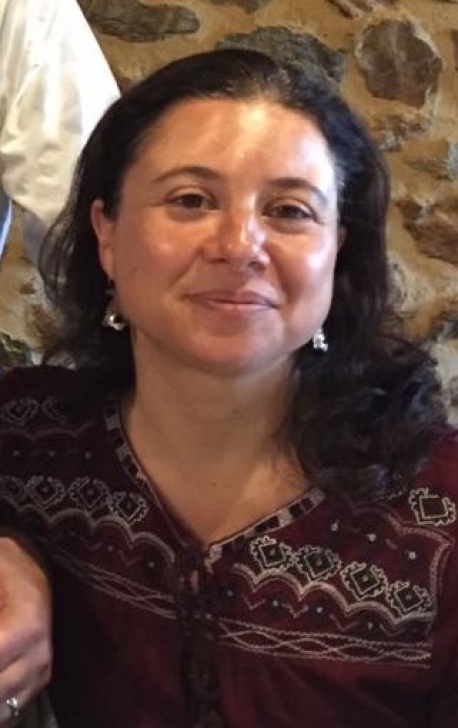 Susana’s AHP Fellowship project aims to transform her 2015 PhD dissertation entitled “‘Africa starts in the Pyrenees:’ The Fondo Kati, between al-Andalus and Timbuktu,” into a monograph book, which has already been accepted for publication by the German academic publisher, De Gruyter. The dissertation presents a biography of the Fondo Kati archive, a private family library from Timbuktu that has positioned itself apart from other libraries due to its claim to a unique historical heritage linked to al-Andalus and present-day Spain. It is built upon two cornerstones: the genealogical project—the claim to uninterrupted “originally” Spanish ancestry for the Kati family—and the project of the marginalia—the archive as a family collection, built by generations of family members, each adding manuscripts and marginalia to the collection. Ultimately, the dissertation demonstrates how the very act of the construction of the Kati collection is an active intervention in the production of history.